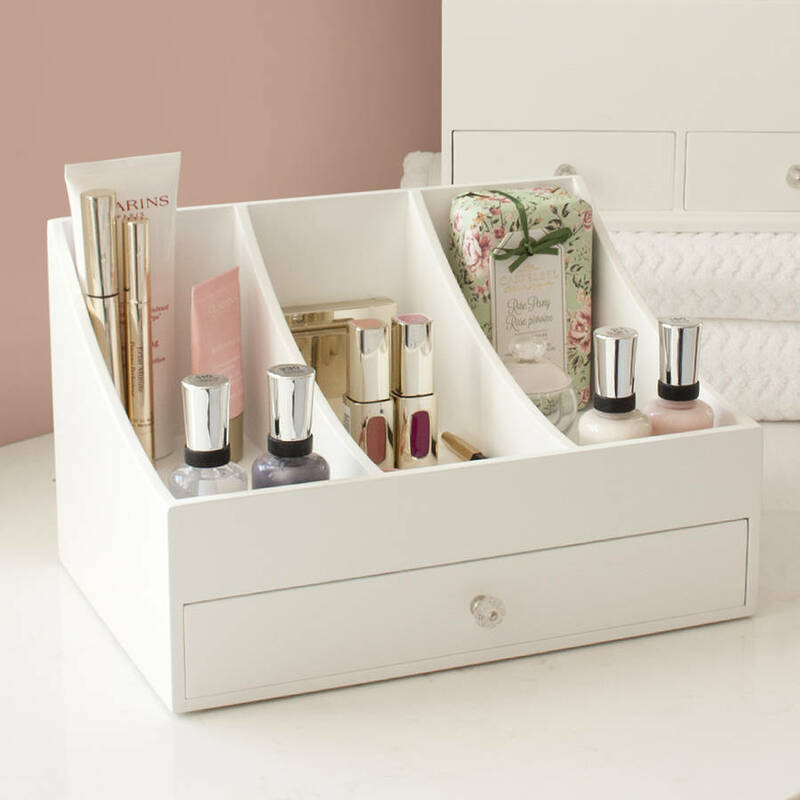 A white wooden Cosmetic organiser to simplify your morning routine by having all your make-up and beauty essentials within easy reach. 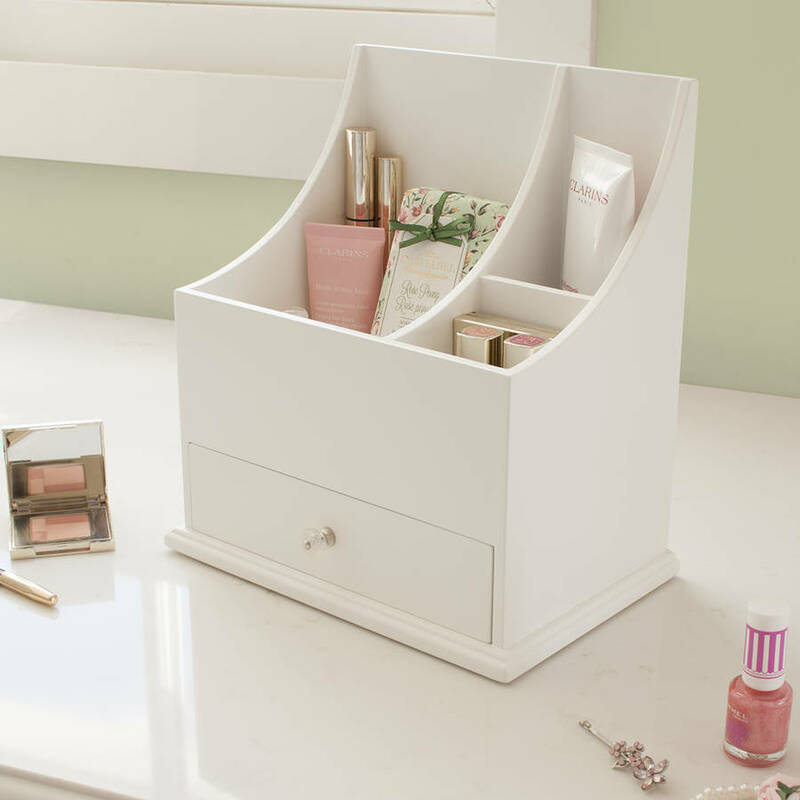 This classic white wooden beauty storage caddy will take your beauty organisation to the next level and is ideal for storing perfume, make-up, cosmetic tools, hair accessories and jewellery. 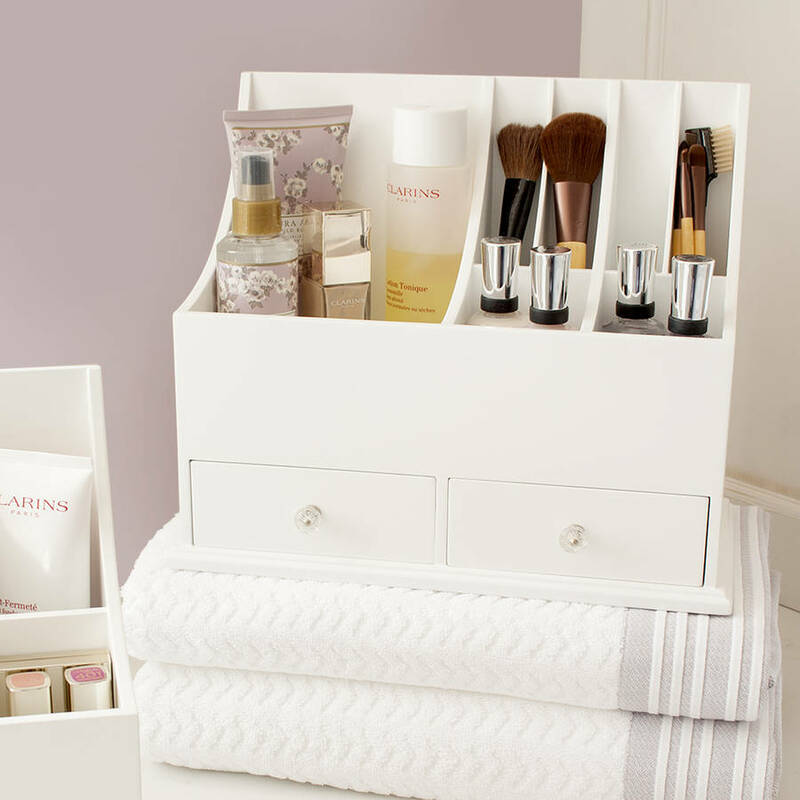 Available in 3 sizes; large, medium & small, each wooden cosmetic organiser features multiple sectioned compartments on top to keep your get-ready essentials neatly organised while being easily accessible. 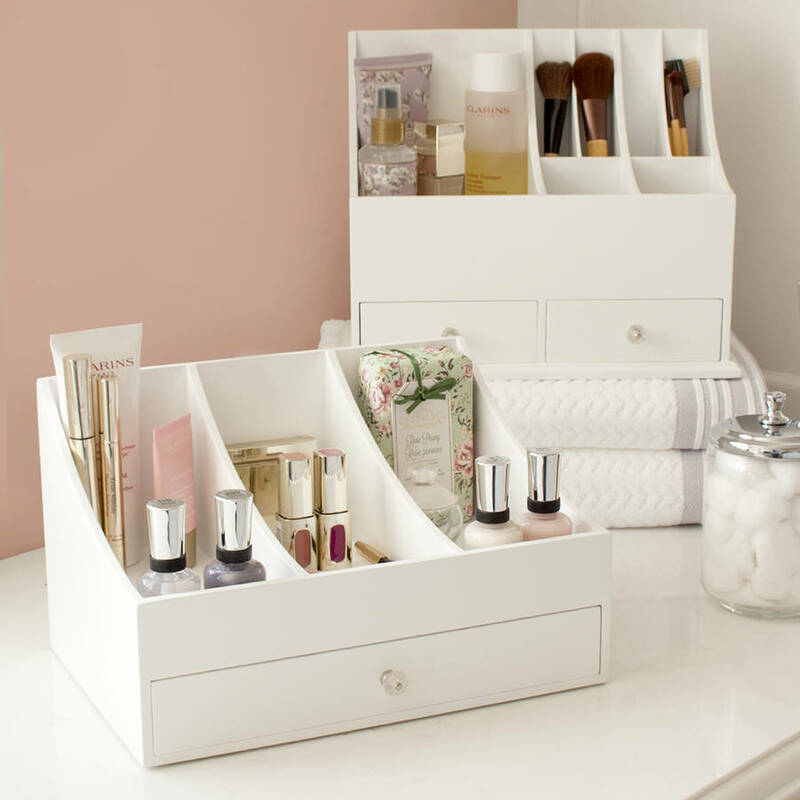 Drawers underneath are ideal for storing smaller items. 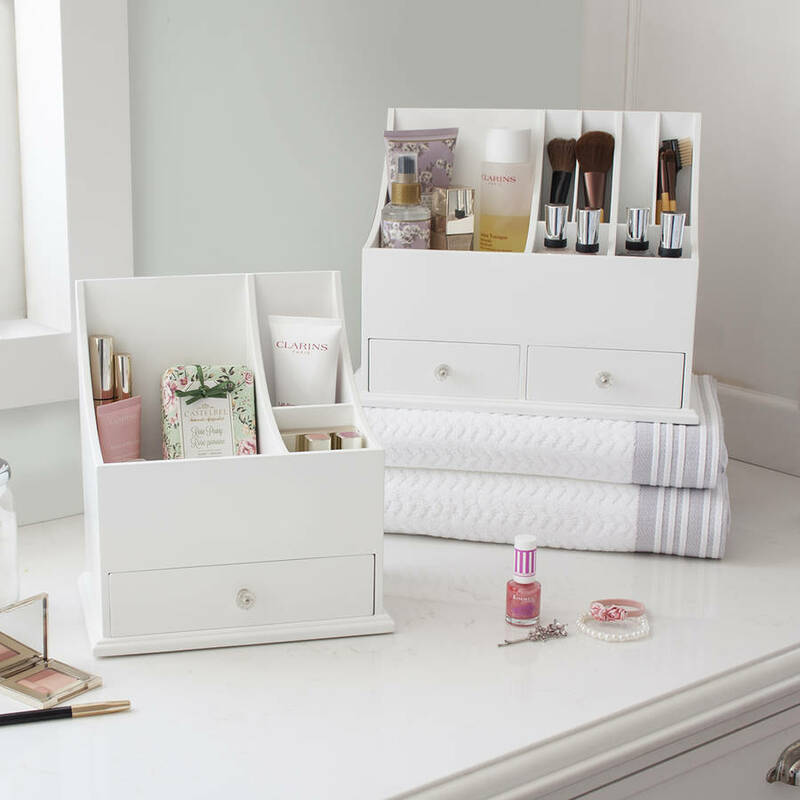 Alternatively, our white wooden storage caddies make excellent desktop organisers and can help keep everything in order, from notebooks and magazines to pens, pencils and paper clips. A great gift for beauty conscious ladies. Expertly crafted of painted engineered wood. Chrome & acrylic drawer knobs.